Eastern Maine Medical Center in Bangor. 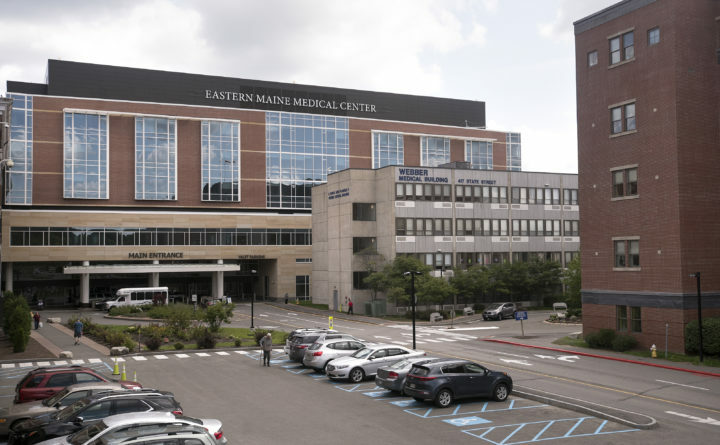 Eastern Maine Medical Center officials recently discovered a video camera inside a staff bathroom at its State Street campus and the person suspected of placing it there has been suspended from accessing the hospital, a spokeswoman said. The hospital does not believe any patients were filmed, according to Tricia Denham, EMMC’s director of communications and marketing. No other cameras have been found, she said. “These actions took advantage of our trust as an employer and violated the safe work and care spaces we have created,” Denham said in a statement from the hospital. She declined to provide additional details about the discovery or the suspect, citing the police investigation that has been ongoing since last week. “We are fully committed to supporting the investigation, ensuring this is properly pursued,” she said. Sgt. Wade Betters said the Bangor Police Department spokesman has not yet brought any charges as a result of the investigation, which is continuing. He declined to comment further.